Jocelyn is the Co-Lead + Executive Director of IDEO.org, the non-profit organization started by IDEO to address poverty-related challenges through design and to encourage the use of human-centered innovation in the social sector. Jocelyn’s work focuses on identifying non-profit and social enterprises with whom to partner and designing innovative solutions related to water and sanitation, agriculture, energy, health, financial services, and early childhood education. Jocelyn specializes in building social enterprises and advising businesses in the developing world, where she uses the market to effect social change. Jocelyn oversees IDEO.org’s business development, fundraising, and operations and works to spread IDEO.org’s learnings through the social sector. 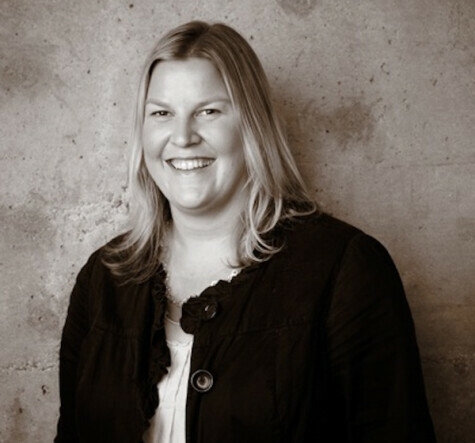 Prior to joining IDEO in 2007, Jocelyn worked in Kenya as an Acumen Fund fellow with an agro-pharmaceutical company involved in the production of malaria treatments. She served as VisionSpring’s interim country director in India, where she helped increase the distribution of low-cost reading glasses to the urban and rural poor. She also did training, project management, and business development for Chemonics International, a contractor for USAID. Jocelyn received an MBA from Thunderbird School of Global Management and a bachelor’s degree in anthropology from Grinnell College in Iowa. She has taught social enterprise and human-centered design at the Haas School of Business at the University of California at Berkeley and Thunderbird. She is an advisory board member to Clinton Global Initiative, Fenix International and Hattery, an Aspen Institute First Movers Fellow, and one of Foreign Policy Magazine’s Top Global Thinkers.